Tanner on a cold snowy day, snuggled in his favorite napping blanket. What a perfect scene! 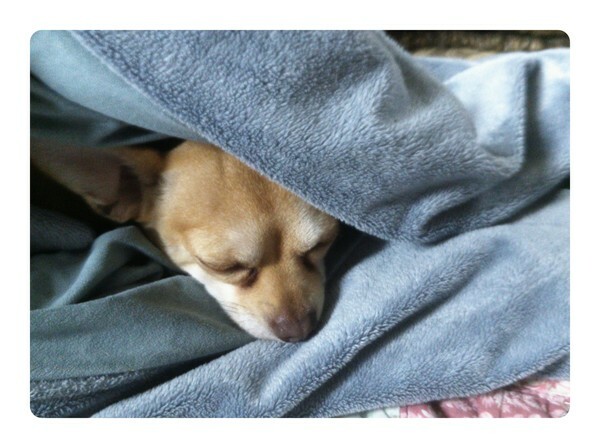 Great job snuggled so Cute in his Favorite napping blanket! Congratulations on this napping photograph! Excellent Serene place to think on a cold snowy day! Aaaawww ! Beautiful photo of napping Tanner ! So very clear and bright ! Love the colors Ruth !